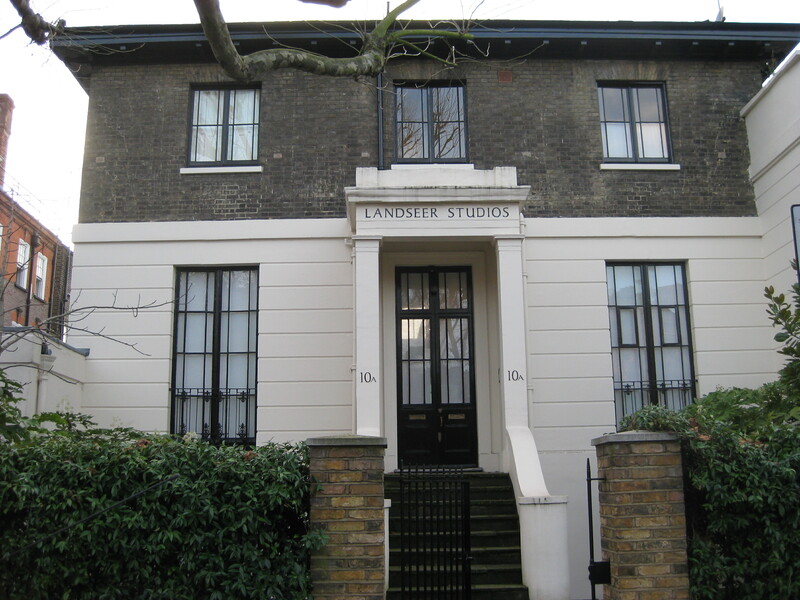 This artist, muralist and sculptor lived in Cunningham Place, which runs south off St Johns Wood Road opposite Hamilton Terrace. He lived in what is labelled the Landseer Studios though this does not refer to Sir Edwin Landseer but to one of his brothers, also an artist. Feibusch was born in 1898, into a Jewish family in Frankfurt-on-Main, Germany. In 1933, he had to flee Germany as a result of the political climate. He settled in England and, in 1938, was granted British citizenship. 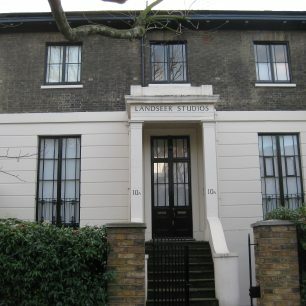 In the same year he found the studio in St John’s Wood and stayed there sixty years. 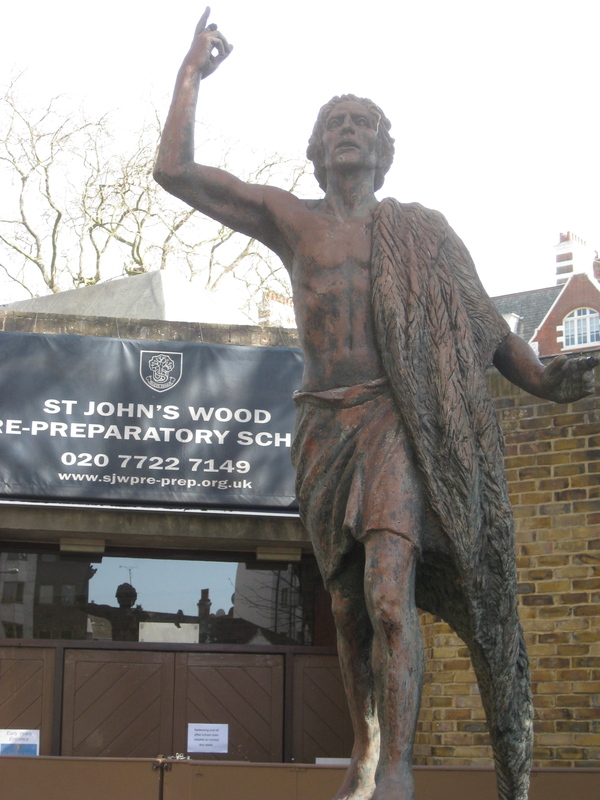 Also, in 1938, Hans received his first ever mural commission, “The Footwashing” for the Methodist Church, Colliers Wood, indirectly brought to him by the architect, Maxwell Fry, a fellow member of the London Group. This was reproduced in The Times. Sir Kenneth Clarke saw it and passed it to Bishop George Bell. 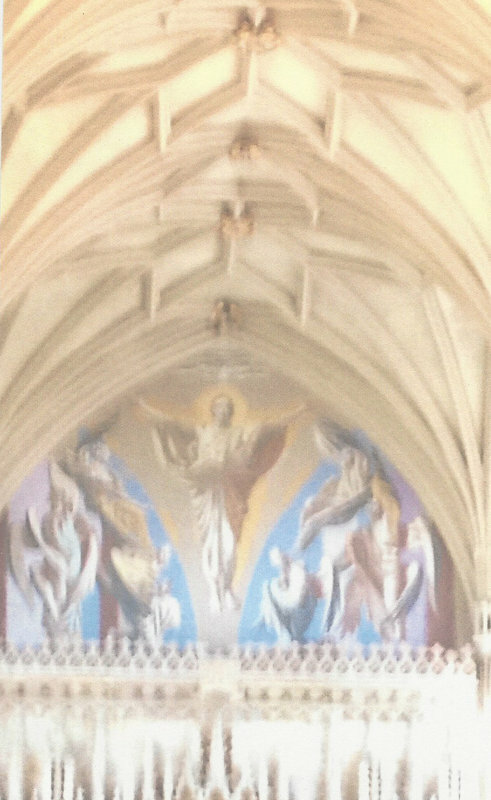 As a result, he became a prolific muralist of churches and cathedrals. 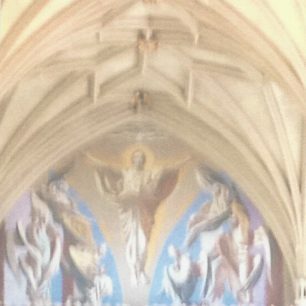 Between 1938 and 1970 he painted 40 murals included those at St Alban, the Martyr in London, Chichester Cathedral, Christchurch Priory and Goring Church in Sussex. Later, in 1970, he suffered cataracts in both eyes. His operation was a success, though his eyes were covered for over six weeks. Feeling frustrated he went to a local sculpture class. This was the start of many commissions for portrait busts and figures from mythology and the Bible. 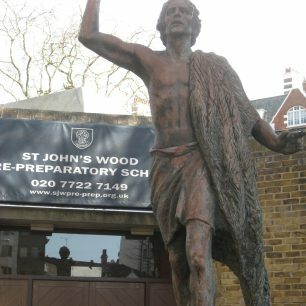 Some of his commissions during the 1970s included a seven-foot figure of St John the Baptist at St John’s Wood Church and sculptures of Christ, at Ely Cathedral. His work is clearly influenced by Christian baroque art. In his book on mural painting he describes the deep influence that baroque art had had on him. He was married to Sidonie Gestetner, daughter of the inventor of the duplicator. In 1985, Dr Runcie, then Archbishop of Canterbury, awarded him an Honorary Doctorate of Letters at a presentation in Lambeth Palace. Religion was clearly instrumental in his life, perhaps partly because of his work and the magnificent subjects that the Bible offers, but also to satisfy his spiritual needs. He converted to Christianity, in 1965, and remained a Christian for nearly twenty years, but towards the end of his life, haunted and influenced by the tragedy of the Jewish experience, he reverted to Judaism. At 97 years of age, Hans Feibusch was able to attend the private view for the 1995/6 UK touring retrospective exhibition, organised by Pallant House Gallery, in Chichester. He continued to work at the easel until just a few weeks before his 100th birthday. He died peacefully on 18th July 1998 and is buried at Golders Green Jewish cemetery in London.